The public discussion about the Fair Workplaces and Better Jobs Act has focused on the $15 minimum wage raise, invoking both a sense of optimism, as well as some concern from both employers and workers. 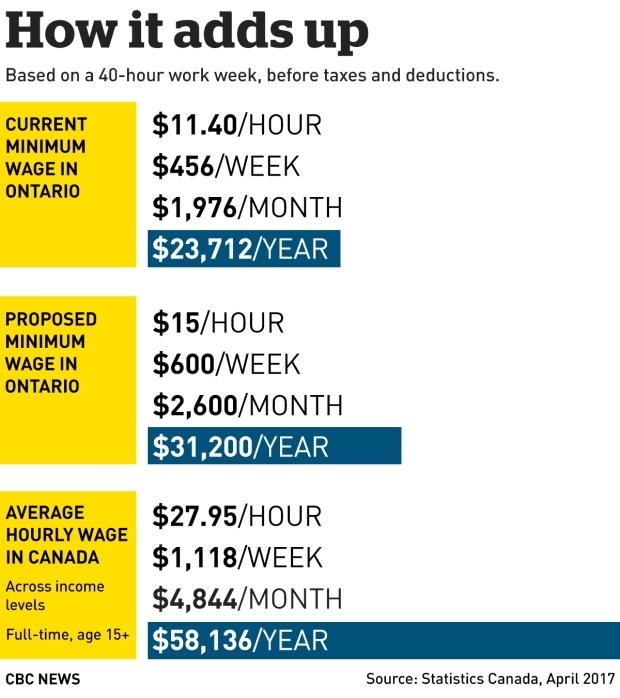 On one hand, minimum wage earners (there are an estimated 1.5 million workers in Ontario who earn below $15 an hour) have expressed enthusiasm at the possibility of earning more per hour and coming closer to affording the cost of living in an expensive city such as Toronto. On the other hand, many fear this may result in job losses if employers are not able to afford the increase. The impact it will have on minimum wage earners is harder to figure out. Employees who survive the potential layoffs will most likely be better off, earning almost $600 more per month or $7,500 annually for full time employees. Considering that a full time minimum wage earner presently earns barely enough to cover the cost of the average monthly rent in Toronto (which is estimated at approximately $2,000), this could make a major difference to the quality of life for low income earners and their families. It is possible that some employees might lose their jobs, or have their hours reduced. The provincial government is hoping that the stronger economy in Ontario will ensure that workers will be able to find other jobs, and is relying on social support networks such as social assistance, retraining support through OSAP and Second Career, and employment services such as JVS Toronto will help them transition to new, better careers. Another government initiative making it harder to do business in Ontario. Companies exist for the sole purpose to make a profit. If they cannot make a healthy profit in Ontario they will seek places where they can. There’s a reason so many jobs have been sent overseas, yet we keep giving businesses reasons to ship more jobs overseas, or wherever labor is cheaper. I predict this rise in Ontario’s minimum wage will result in job losses, hours reduced and companies looking elsewhere to do business. Ontario’s government should be looking for ways to make Ontario business friendly. Thank you for your comment. It is clear that many business owners would agree with you, fearing that they might not be able to survive the pressure of higher wages. Job seekers are concerned too. It’s likely that in the short term, there will be some negative outcomes, but the long term impacts are less predictable. Now that the wage has gone up. hours in my town are horrible…I have gone down to having only 8-4 hours a week. Job hunting has provided no answers as business are already cutting staff and hours so getting a job is pretty much out of the question. This makes many people unable to survive. Im now cutting food, and hydro from my expenses to just try and make rent to have a roof over my head. These negative effect are not worth it if I have to struggle and starve myself just to have a place to sleep. This wage increase was probably the worst thing to happen ever. Yes raise it but not this fast…a gradual increase is an easy adjustment for people…but when it happens so suddenly by a large margin..there is no getting ready for the negative effects.